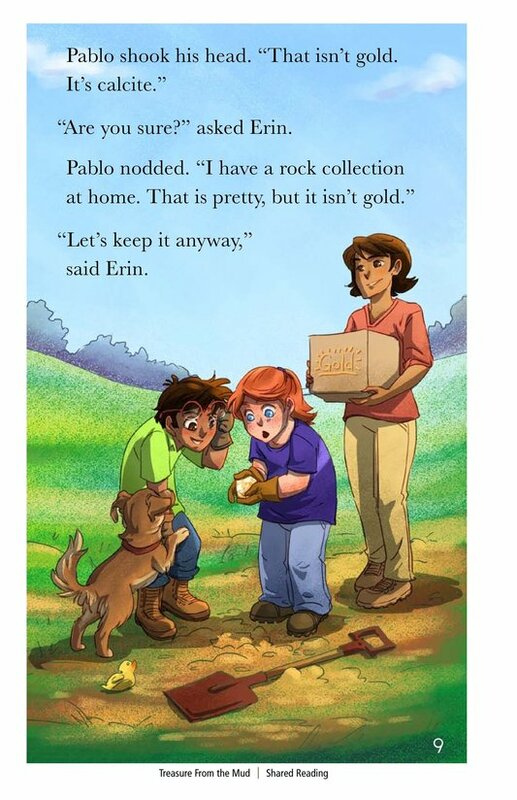 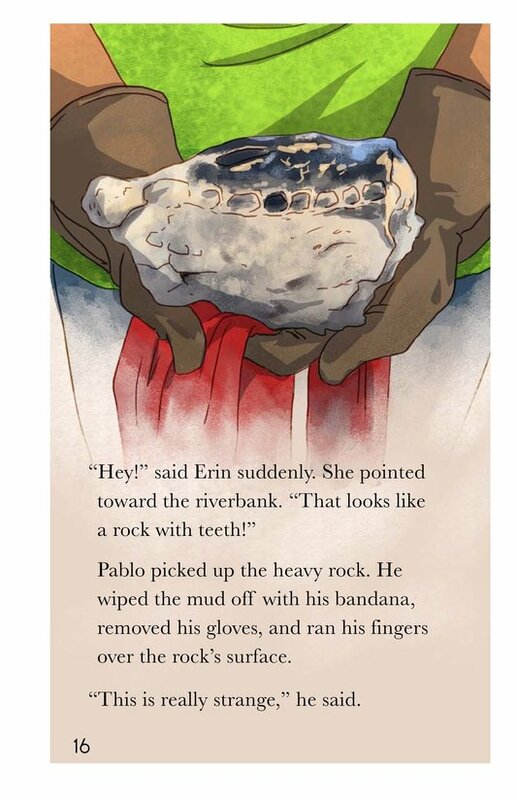 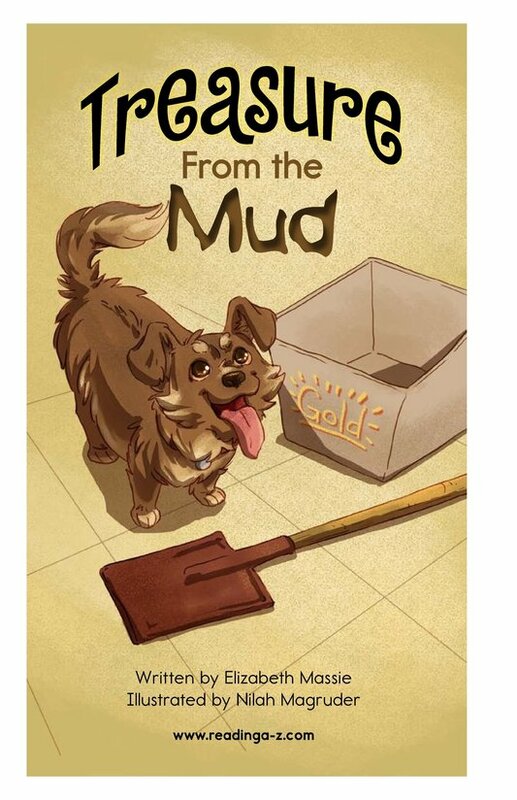 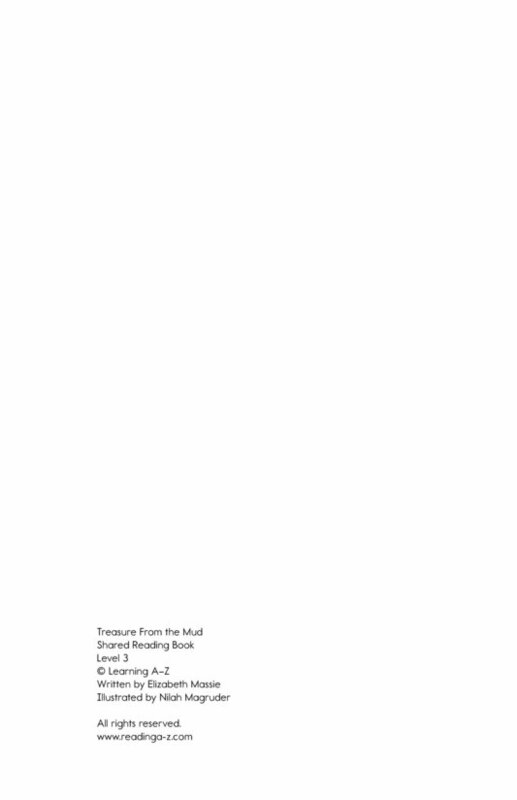 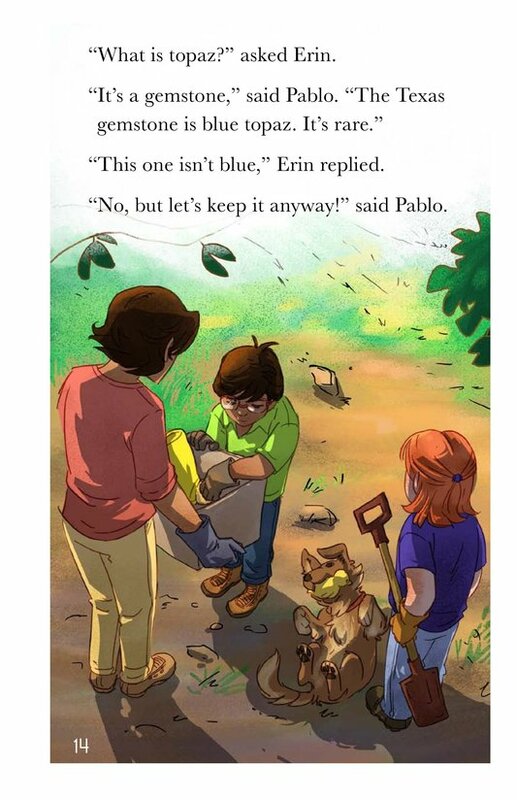 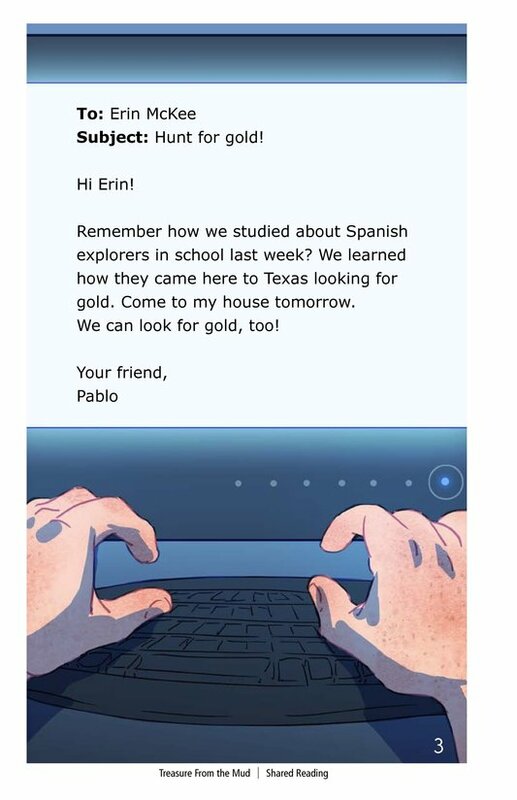 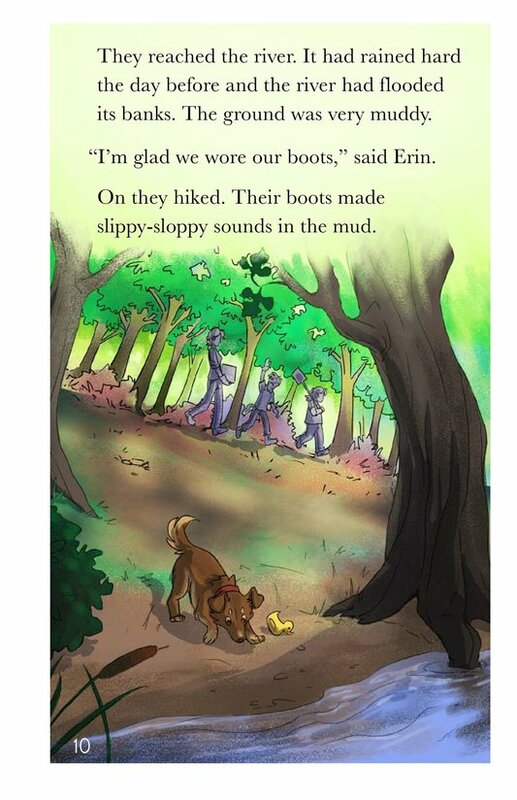 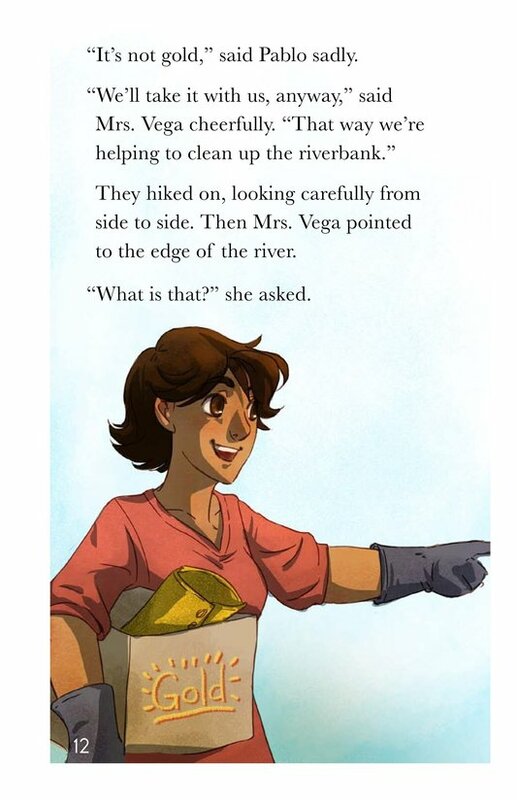 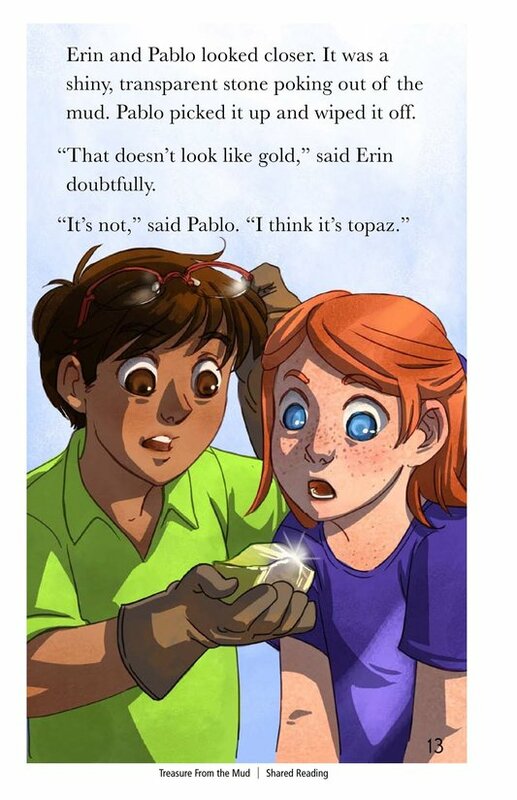 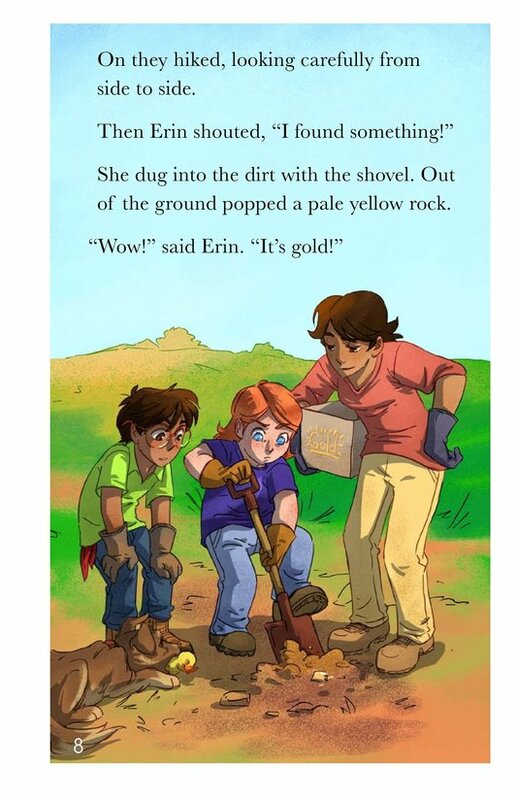 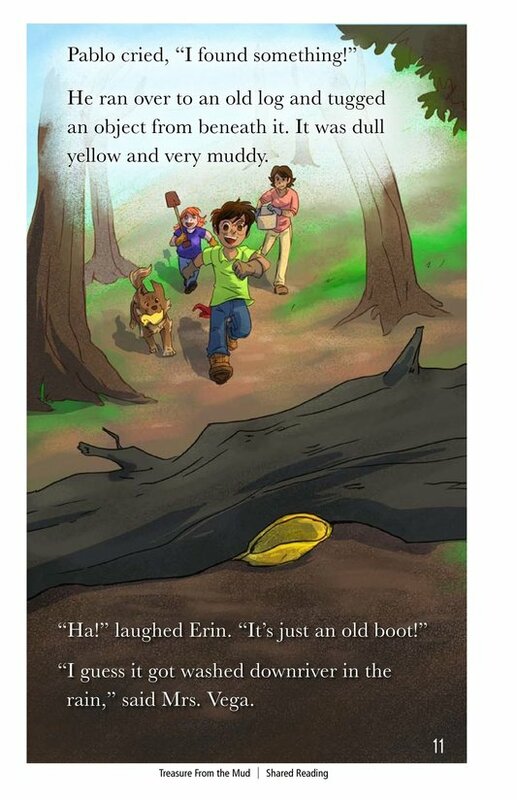 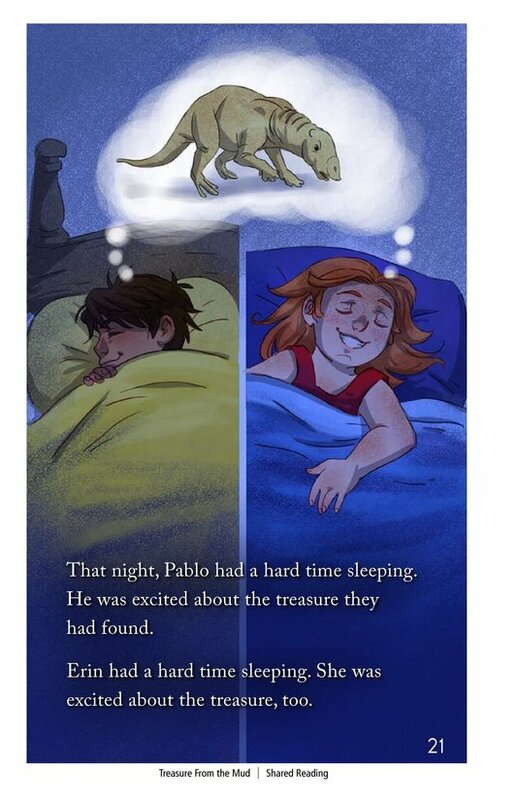 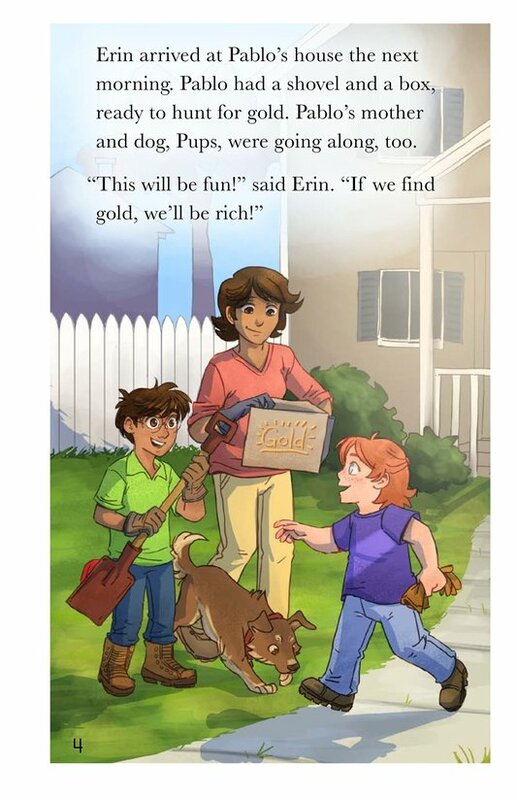 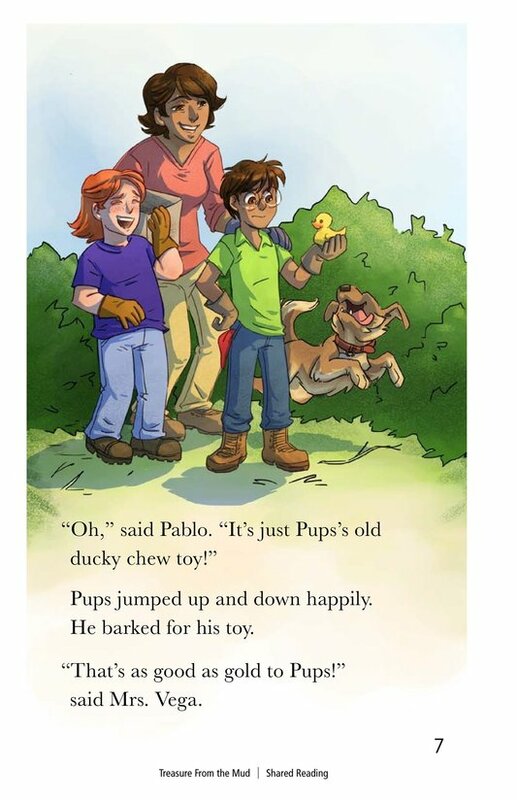 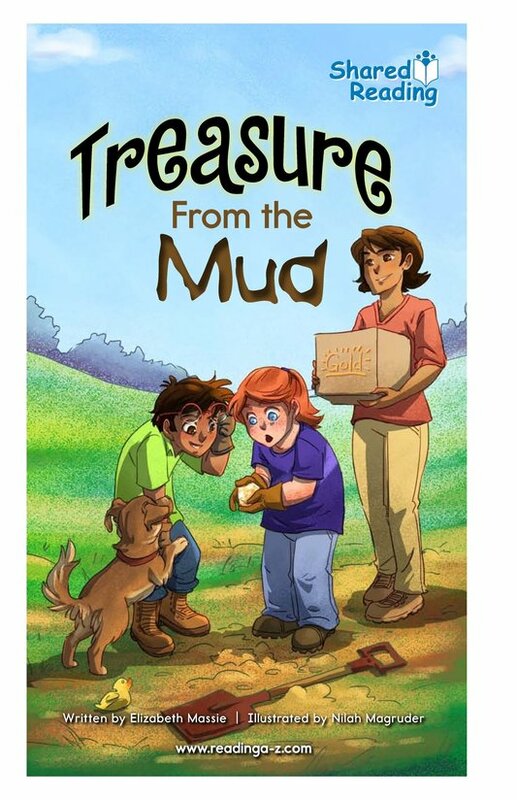 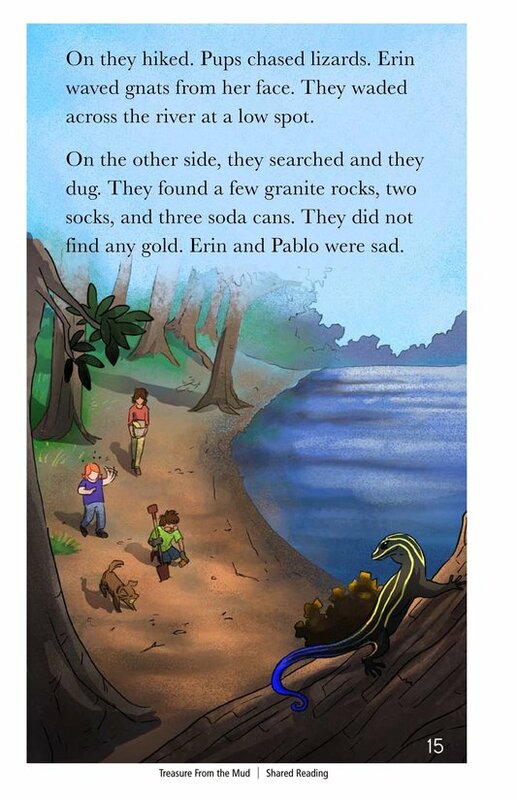 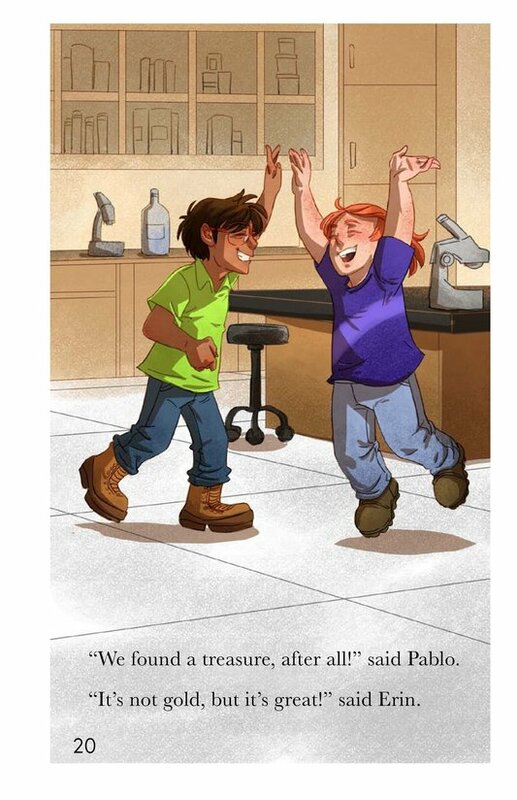 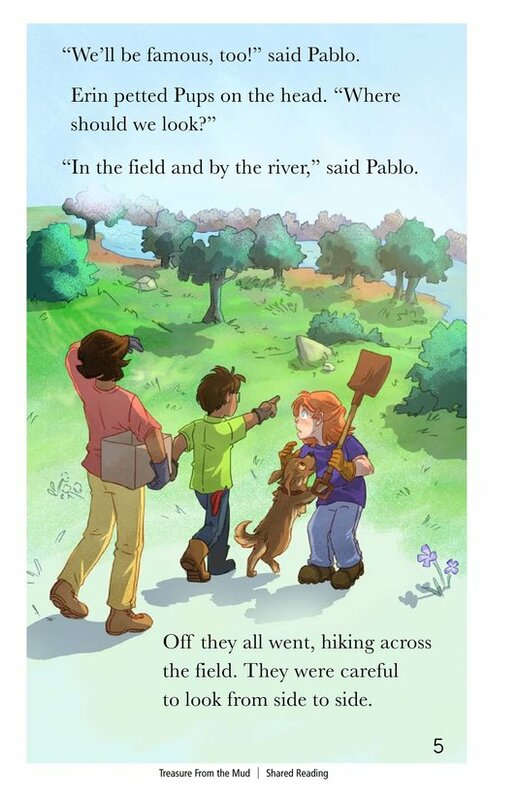 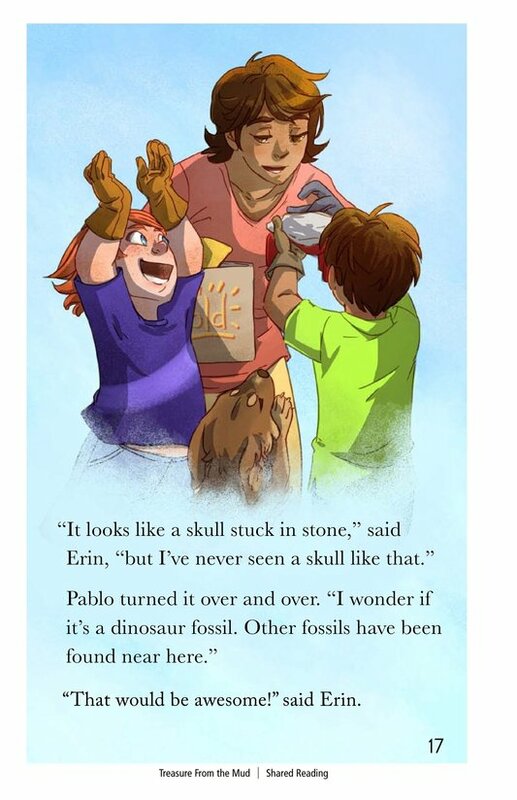 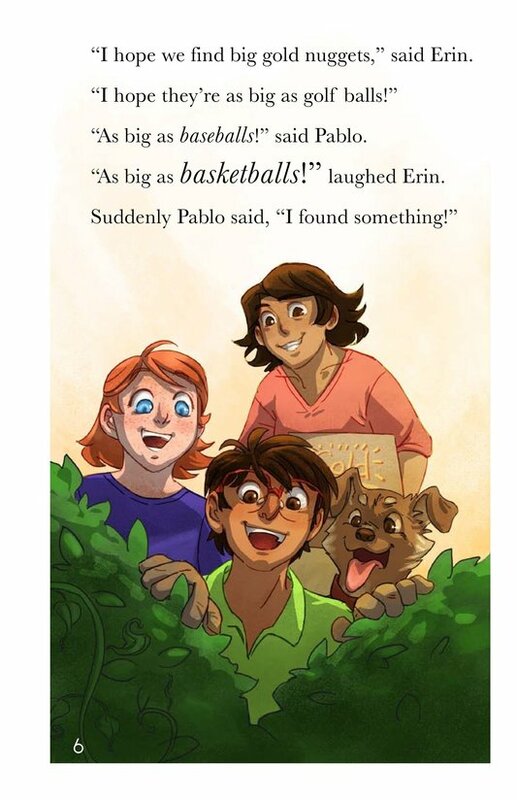 Pablo and his friend Erin go out looking for gold, along with his mom and his dog, Pups. 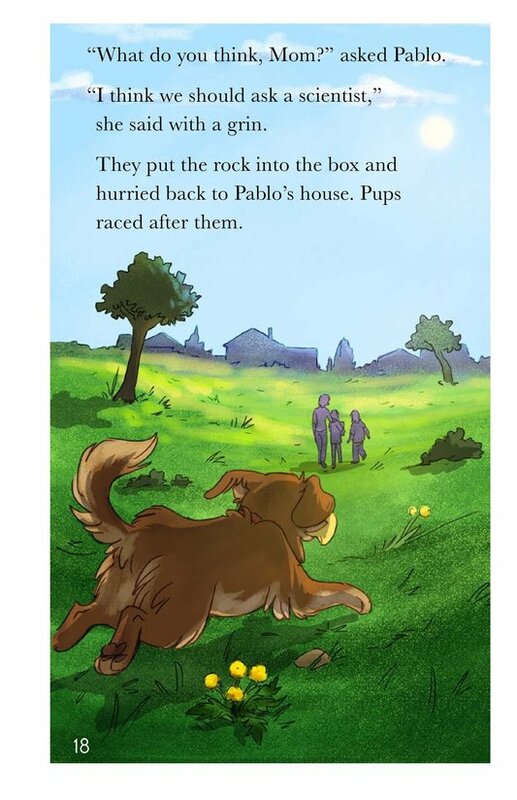 Along the way they find many interesting things, including the dog's old chew toy, a piece of calcite, an old boot, and a piece of topaz. 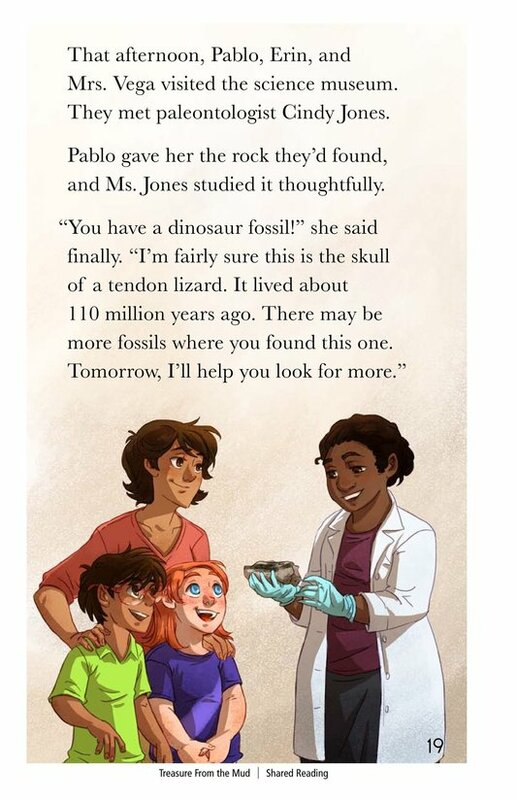 Finally, they find a real treasure-the fossilized skull of a tendon lizard that lived in the area about 110 million years ago.